Canada and the United States on Friday pledged to cooperate to determine why migrants are increasingly attempting to cross the border illegally into America's northern neighbour. 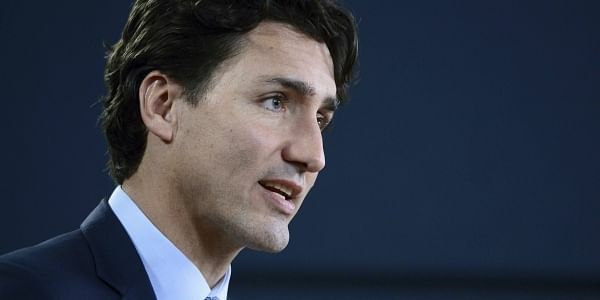 OTTAWA: Canada and the United States on Friday pledged to cooperate to determine why migrants are increasingly attempting to cross the border illegally into America's northern neighbour. The pledge came after talks between Canadian Public Safety Minister Ralph Goodale and visiting US Homeland Security Secretary John Kelly. "No one is suggesting the construction of a wall along the Canadian border," Goodale told a news conference, referring to US President Donald Trump's plan to do just that on the Mexican border. The "biographical and biometric data" of those who arrive in Canada seeking asylum will be further analyzed to try to understand how they got there, and to rule out "any concerns about terrorism," he added. Kelly met with Goodale and other Canadian ministers away from the glare of the media's cameras. In an interview with CBC public television, Kelly said he was "undecided" as to whether the flow of migrants into Canada was linked to Trump's revamped travel ban targeting refugees and citizens from six mainly-Muslim countries. Most of those entering Canada illegally were legally in the United States, and "many of them have only been in the United States for a very short period of time -- days -- before they come over," Kelly said. He added that he did not understand why migrants would push on to Canada so quickly when they were legally in the United States. The two countries will compile information to see who is making the trip, and from where, and how long they are spending in the US before crossing the border, to try to understand the influx of migrants, Goodale said. He said there were safety issues, in terms of people trying to reach the border across difficult snow-covered terrain with no idea where they are. "There is no evidence of this that we know of yet, but we want to watch very carefully to see if there's any element of profiteering here, is there any element of exploitation, of human trafficking," Goodale said. "The critical thing is to make sure that we have a complete and detailed picture on both sides of the border about what exactly is happening here."